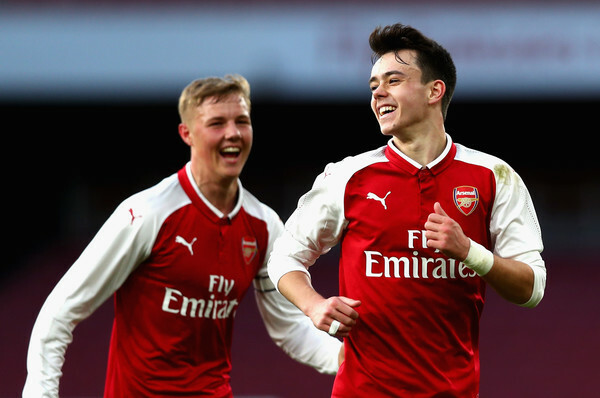 At the start of every season, Arsenal offers young academy graduates professional contract. This allows them the opportunity to fulfill their dream of playing for the club. The latest of such player to be offered his first professional contract is Robbie Burton. The 18 year old will like to follow in the footsteps of former academy graduate like Alex Iwobi, Reiss Nelson and most recently, Ainsley Maitland-Niles who have gone to stake a claim in the first team. The interesting thing about academy graduates being promoted to the first team is that it gives them the opportunity to learn faster and gather experience. So, whenever they are called on to make their debut, they have to show the world that they are worthy to wear the shirt. This is exactly what Robbie Burton will hope to achieve with this new contract. He has the talent and he has been on the radar for a while to be promoted to the first team very soon. After joining the club since age six, he has seen what it takes to be an Arsenal player. He might not get playing time in the league anytime soon, but if he convince the coach, he could be getting some minutes in the Carabao cup and maybe in the Europa league. His future now lies in his hand with how he takes his chances whenever they come calling. We all wish him best of luck.